Voici La Mode group today is operating more than 22 fashion and hospitality stores across Cyprus including Marks & Spencer, Celio, Topshop, Topman, Dorothy Perkins, Wallis, Evans and Cafe La Mode. In addition, the group now operates the Marks & Spencer franchise in Romania. Voici La Mode has a work force of more than 300 employees and serves around 10,000 customers each week. 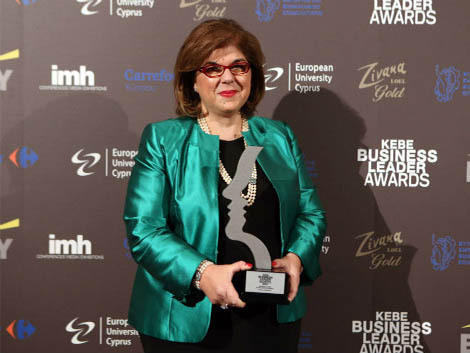 Recognised as Business Leader in the Commercial Sector, Artemis Antoniadou Managing Director of Voici la Mode, was awarded the KEBE Business Leader Awards in 2015. The individuals recognised for these awards are those who operate with integrity and ethos, who have gained the respect of their own employees as well as that of their competitors and the broader business community, and who work on the basis of the key principles that characterise a successful leader: dynamism, innovation, foresight and knowledge. 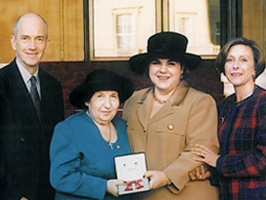 In 1997, Artemisia Panayiotou was honoured by the Queen of England with an MBE for her contribution to trade and British-Cypriot relations, a truly unique honour for a Cypriot businesswoman.